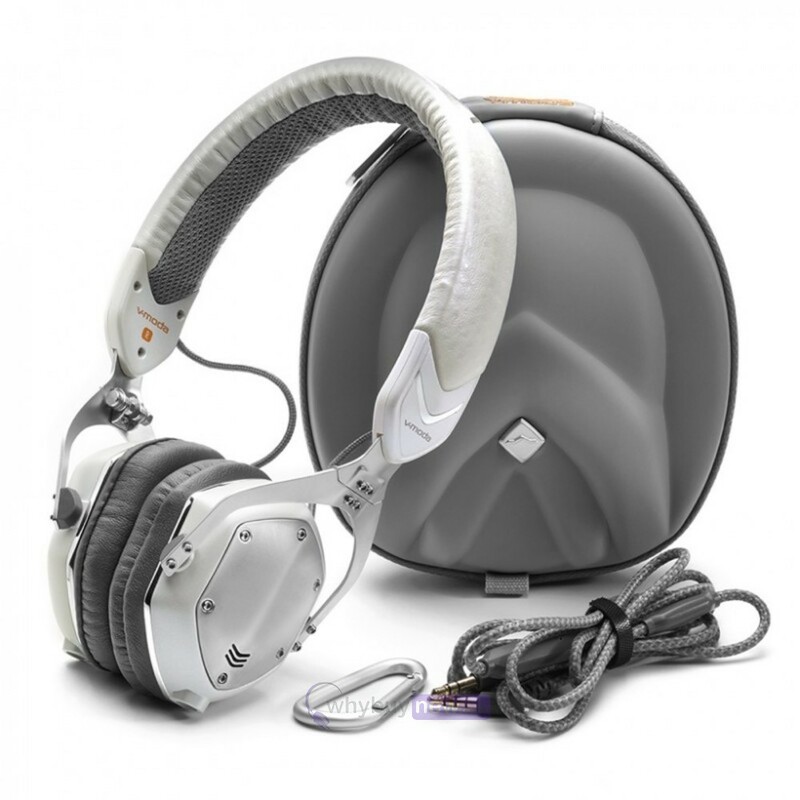 These V-Moda XS on-ear metal headphones in white silver combine V-Moda's award-winning sound with improved ergonomics for an ultra-portable size. Its patented sleek design contours evenly to the shape of your head and minimizes the unsightly gap found with competitor headphone models. One of the XS' numerous innovations is the unique collapsible CLIQFOLD design that allows for compact storage. Its compact exoskeleton hard case is small enough to fit in the palm of your hand and will easily fit in your bag, backpack, jacket or handbag. The XS' memory foam ear cushions naturally isolate noise and provide supple ergonomic comfort for extended listening sessions. Its metal construction and military level testing ensures unrivalled durability. 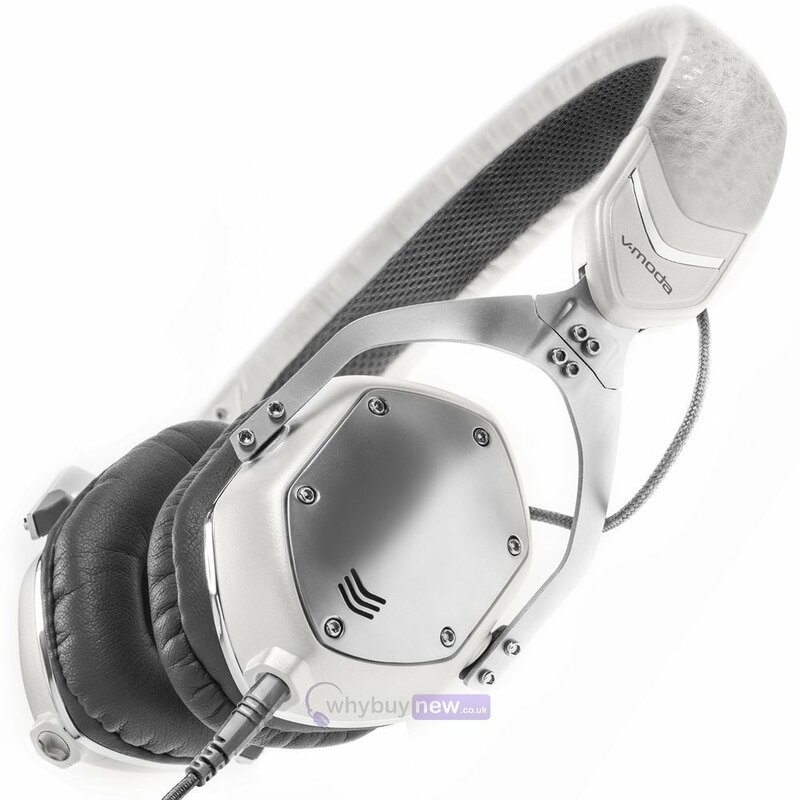 The XS comes with a specially tuned SpeakEasy cable with mic for universal compatibility and communication. 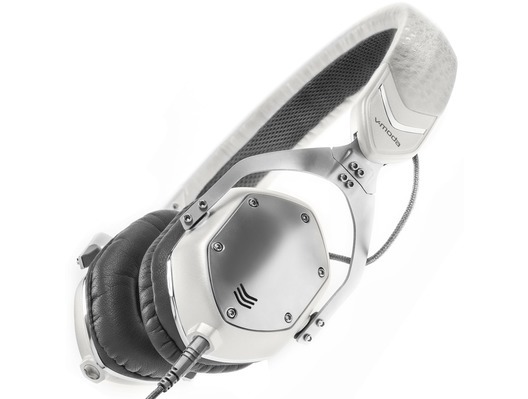 These V-MODA XS headphones allow users to 'endorse themselves' by customizing their headphones with V-MODA's unique custom shield and laser engraving service that allows users to interchange the metal shields with an array of colours, logos and even their own design. 3D Printed or Laser customization of the shields is available at V-MODA.com.